Małopolska is a region where you can develop your talents, gain experience and experience something unique. And all this is surrounded by extraordinary nature and an attractive educational and cultural offer. The greatest capital of the region is undoubtedly made of its inhabitants. The Małopolska Region inhabitants are people with great potential who courageously realize their dreams and value ambition, harmony and happiness in their lives. The region and its inhabitants form a perfectly functioning connection that has been generating enormous potential for years. It is thanks to it that innovative entrepreneurship develops, thrilling artistic realizations are created, remarkable cultural events take place in the Małopolska Region and thriving social organizations take place. Such brands are a showcase of the region and a treasure that the Małopolska Region wants to display with pride to emphasize the origin. That is why the "Made in Małopolska" project was established. 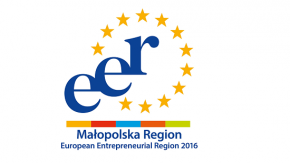 Its aim is to promote what was created in the Małopolska Region and what is the best in the region. The initiative is a platform for marketing cooperation between the Małopolska Region and partners from the key industries in the region. It is based on five pillars: business, design, cuisine, social initiatives and places. By opting for the regional products or services marked with the "Made in Małopolska" symbol, we can always be sure that we focus on high quality and make the best choice. In the Małopolska Region, we prove that origin matters.